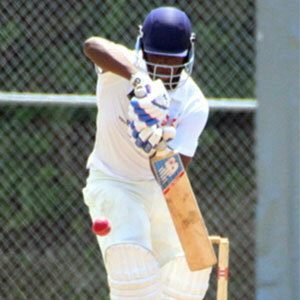 Bernews – PHC and Somerset Bridge both recorded victories in this weekend’s Bermuda Open cricket action. Batting first, Flatt’s Victoria posted 196 all out, with Cofield Robinson the top scorer with 38, with Dejon Carey adding 35, Dinesh Hanuman was the pick of the PHC bowlers with figures of 5-0-12-3, while Narra Venkata 8-0-28-3. In reply, PHC scored 202/4, Jerez Eve was the top scorer with 89 for PHC, while Nelson Bascome was the pick of the Flatt’s Victoria bowlers with figures of 13.2-1-48-2. At the White Hill Field the Somerset Bridge defeated Cleveland County by 7 wickets. Batting first Cleveland County were bowled out for 61, Sharye Tavares was the pick of the Somerset Bridge bowlers with figures of 1.5-0-3-2, while Torleair Caines, Corey Burgess and Noel Woods all claimed 2 wickets each. In reply Somerset Bridge would score 63/3, with Burgess and Woods having all-round performances, Burgess scored 27 not out and Woods was 21 not out.